Sterling Surfaces Gets a Little Greener! Earth month is here and we have a great way to celebrate. 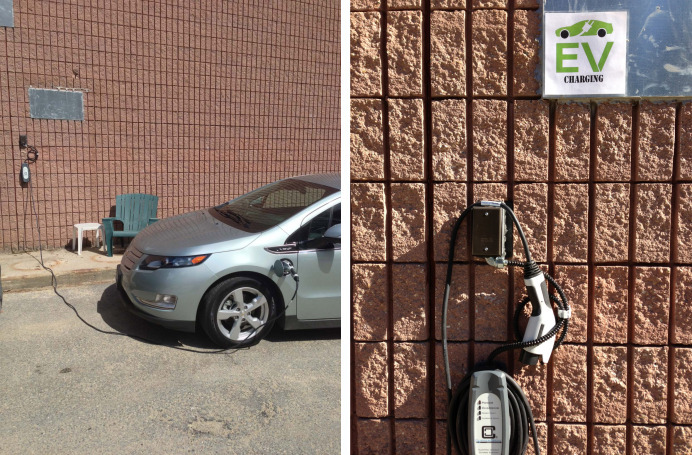 We are happy to announce that Sterling Surfaces / Kitchen Associates is now an official electric vehicle charging station! We are located at 76 Leominster Rd. Sterling, MA. Come by and charge your electric vehicle for free as you browse our beautiful, 2 story kitchen and bath showroom. The charging station is located on the left side of our building and will be available during normal business hours. Just help yourself to the power! We are happy to be able to provide this service for our friends and customers and at the same time do a little something to preserve our precious environment.